One of the original members of Big Hero 6. 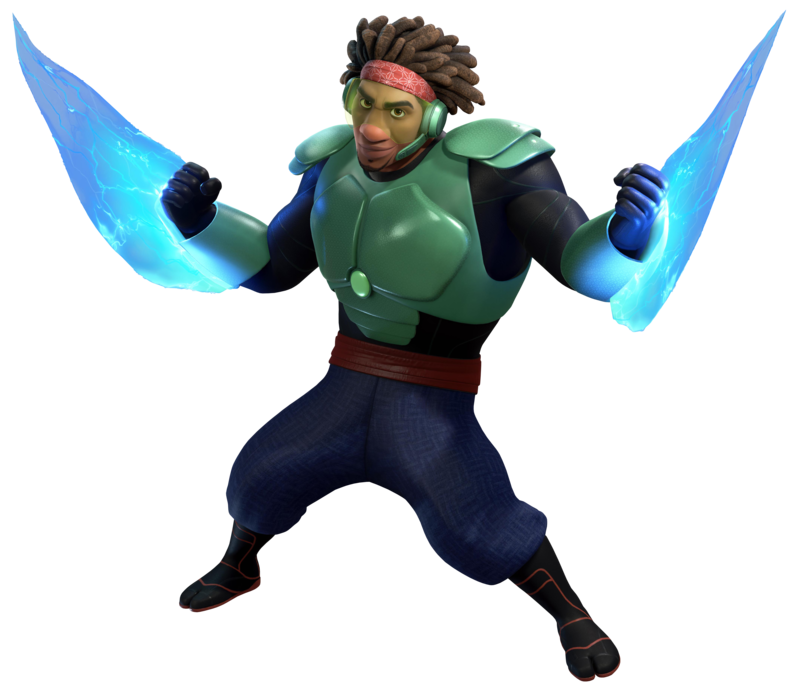 Wasabi No-Ginger believes there is a balance to achieve in one's life, so he finds that cleanliness is a necessity when it comes to fighting crime and fighting grime. Fitted with Plasma Blades, Wasabi No-Ginger is a master at slicing and dicing up criminal's plans. He and the rest of Big Hero 6 team up with Keyblade Hero 3 to take down San Fransokyo's latest thread.